Himalayan pink salt lamps are a new craze that’s become of high interest to anyone who is looking for some tranquility within their home. Coming from the mountainous regions and underground mines of Pakistan, these large rocks of salts are carved out in its centre to make way for a bulb to turn it into a lamp. 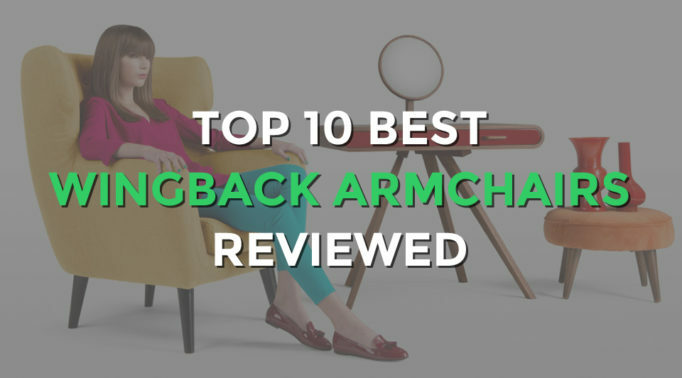 This will emit a warm soft glow which releases ions that improves your health. The best Himalayan rock salt lamps are naturally pink hued so if your salt lamp is a different colour or too pink or red, it might be a fake. Real and natural salt lamps are said to help clear the air of pollutants and allergens which can bring in more clearer and fresher air that can help to improve many conditions including colds. Many spas will have a Himalayan salt lamp as it can give people a more relaxing experience. This natural Himalayan salt lamp is one of the most sought after sizes of of 17-20cm and weighing a sturdy 2-3kg. With its size, it allows the salt lamp to fully reach all corners within a 10 square metre room such as a small bedroom or office. There’s a cable attached to the bulb and the switch can be found on the cable making it easily accessible. A bulb is fitted inside which gives a nice soft glow to a room and is suitable for using as a nightlight. The colour of the glow is more of an orange tone so it creates a warming atmosphere. It’s not very bright so it won’t disturb your sleep and it gives off a subtle salt smell that’s relaxing. Handcrafted and standing proud on a lovely brown wooden base, this Natural Therapeutic Himalayan Salt Lamp provides great value for money. The size is good and doesn’t take up too much space yet it’s enough to give decent lighting for relaxing and sleeping moments. In a lovely antique looking metal wire basket, is a basketful of salt rocks instead of fruits. 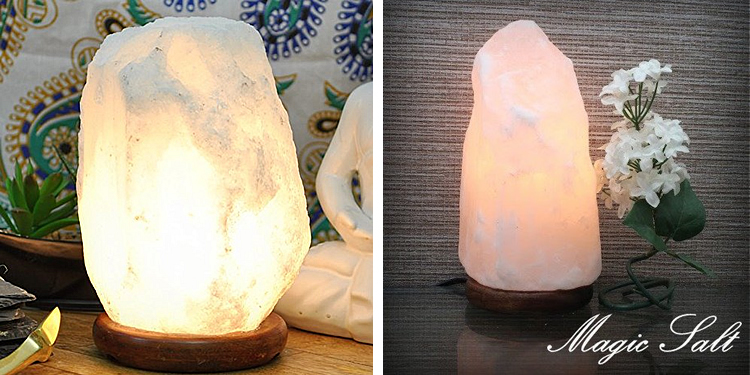 It’s an one of a kind and stylish salt lamp designed to connect with an electric bulb through the hole in its base and then it’s filled up with pieces of Himalayan salt rocks. The crystal pink Himalayan salt rocks are all natural and mined from the Himalayan mountains. The bulb is connected to a 6ft cable which gives it quite a nice length of reach. Like some of the more popular Himalayan rock salt lamps, one of the best benefits of this particular one is that it has a dimmable feature which can be controlled with the rotary switch. You could go from a soft pinkish orange hue to a brighter pink hue. 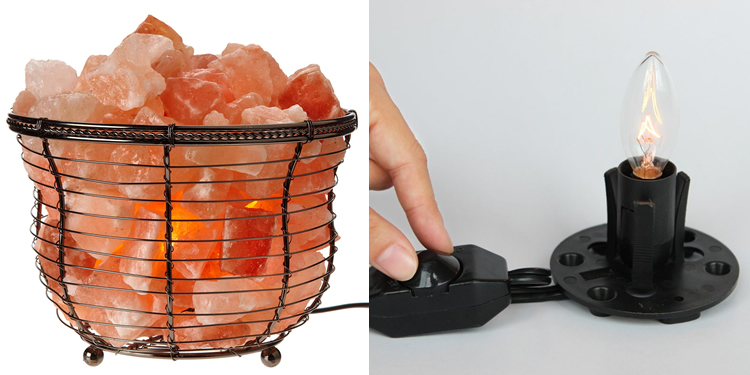 The WBM Metal Basket Himalayan Rock Salt Lamp will give your decor a bit of flair with its individuality and be sure to catch the attention of your guests. Besides, it works perfectly and proves to be effective in creating a soothing environment for the perfect night’s sleep. If the basket isn’t your style, this rock salt lamp is also available in one natural solid salt rock or as two small candle holder styles. Taking a modern spin on a natural salt lamp, the Levoit Cora Himalayan Rock Salt Lamp is designed as a glass tumbler with a white plastic base filled with good quality pieces of salt crystals from the Himalayan mountains. Inside the middle of the tumbler is a 2.5 watt light bulb. The size is smaller than a monolithic salt lamp but that means it’s also lighter at only 1kg making it easier to transport around the home. 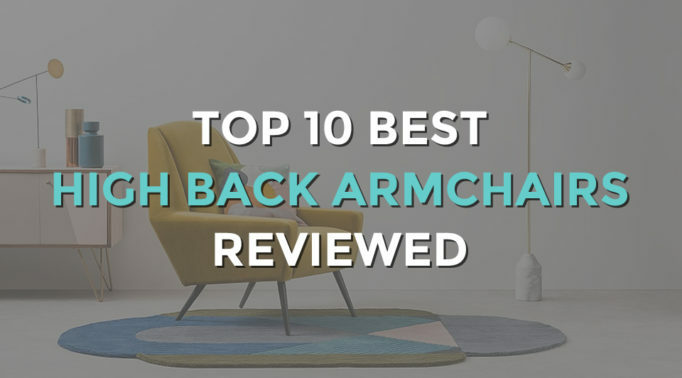 Besides its contemporary style, it also has hi-tech features in the form of a USB adapter so it can be used on your computer and a sophisticated touch control through its power button. 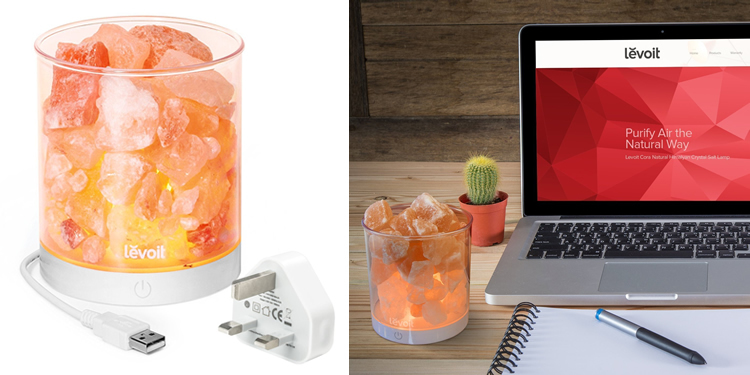 This rock salt lamp can also be powered with an AC adapter which conveniently can be connected via the USB. The light emitted from this salt lamp is more of an orange hue and its brightness can be controlled with the dimmable option on the power button. It’s quite straightforward to use as all you have to do is gently hold down on the power button to change the brightness. 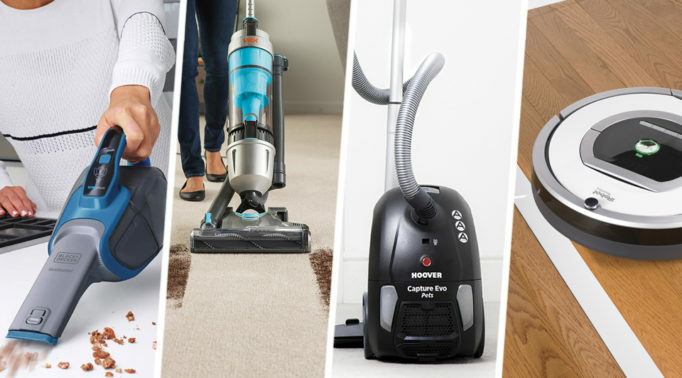 Overall, it’s practical for a reasonable price and has a 2 year warranty included. It’s the best Himalayan rock salt lamp for any modern home or to give as a gift in its beautifully packaged box. 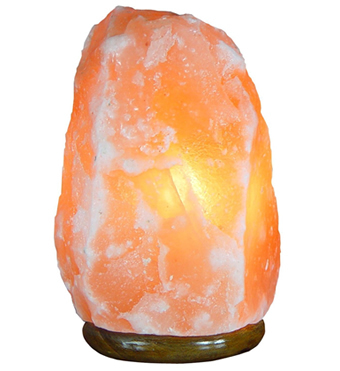 For the finer and luxurious things in life, the Magic Salt Rare Natural White Himalayan Rock Salt Lamp fits the bill. It’s made from premium quality Himalayan salt crystals and carved into its natural monolithic shape by the best craftsmen. White Himalayan rock salt lamp benefits include brighter lighting and can maximise its natural therapeutic powers. The lighting on this salt lamp is a lot brighter than the usual pink and orange hue which doesn’t make for an ideal night light. 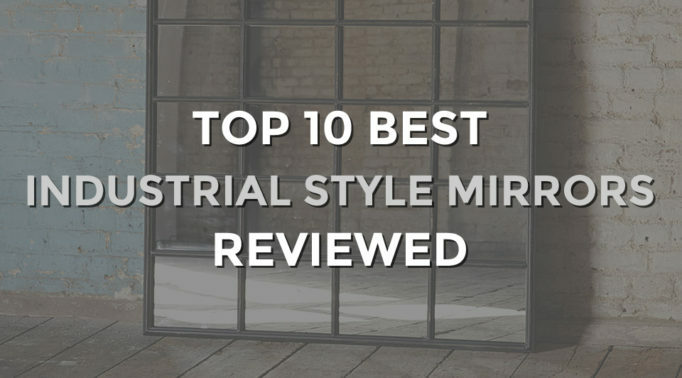 However, it’s perfect for use as a reading light or to give a room low lighting that isn’t too dim. This rare white Himalayan rock salt lamp doesn’t come cheap at all and its benefit lies in its rarity. 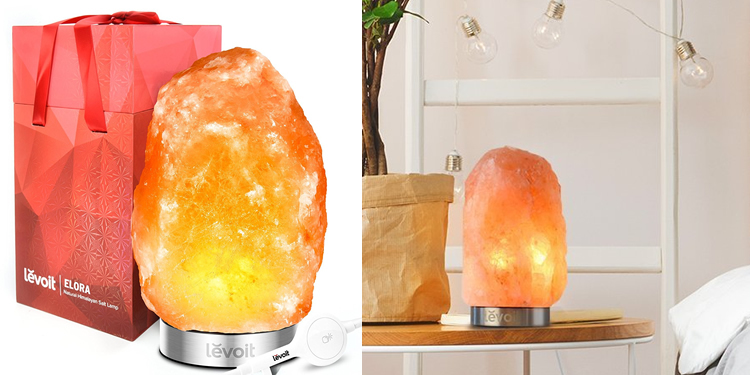 Compared to the pink Himalayan salt lamps, this one weighs three times more than some of them. Its weight is between 9-12kg which doesn’t make it easily portable. However, this one is truly for anyone who loves rare items. Erected on a wooden platform and fitted with a bulb and cable, this white salt lamp is ready to be switched on. Crafted from the highest quality salt crystals from the Khewra Salt Mine in Pakistan, the Levoit Elora Himalayan Rock Salt Lamp gives off a lovely clear and bright amber glow. This is due to the excellent quality which has less specks and spotting. However, it’s heavier than most rock salt lamps at 3.5-5 kg but it’s at a good height of between 17-20 cm which makes it a lovely piece of eye catching decor. Standing on a stainless steel base, this contemporary natural pink salt lamp has an impressive touch controlled dimmable lighting button. Conveniently, it’s located more or less next to the base and it’s a lot easier to control at a touch. All you need to do is hold the button down to adjust from an eerily beautiful orange glow that’s similar to candlelight going up to a bright amber light. Packaged in a gorgeous red box like its other salt lamps, the Levoit Elora is one of the best Himalayan rock salt lamps to give as a gift to someone who really needs it and loves a relaxing and calm atmosphere. It has a 2 year warranty included and comes with an extra bulb too. Think about a time when you’ve been in a natural environment. You end up feeling more relaxed and refreshed after right? That feeling can be replicated with a Himalayan salt lamp because of the negative ions it releases which combats harmful particles like air pollution. It balances and neutralises them with positive charges so they are no longer harmful and damaging to your health. As a result, the air becomes clearer and purer. The negative ions help to increase and improve the flow of oxygen to our brains which then increases mental alertness and raises our energy levels. You’ll notice the difference after a few day’s use. With its soft and warm glow, it can provide a room with subtle lighting. It can be used to set the mood or used as a night light. This lighting effect is more beneficial for your sleep too as research shows that blue light emitted from electronic devices can disrupt sleeping patterns. It doesn’t use as much energy either which makes it environmentally friendly. As mentioned, the negative ions in a Himalayan rock salt lamp neutralises the air. 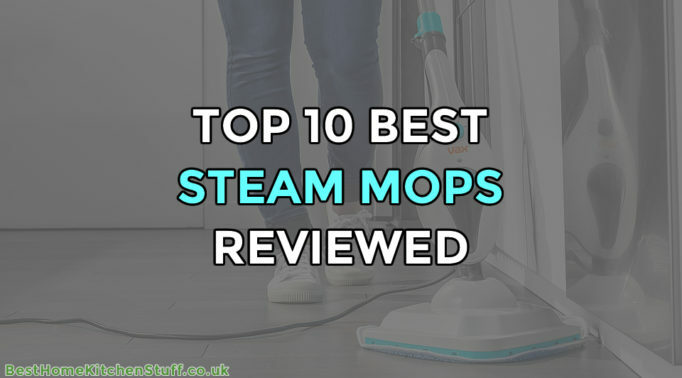 However, it’s the salt’s hygroscopic nature that cleanses the air. 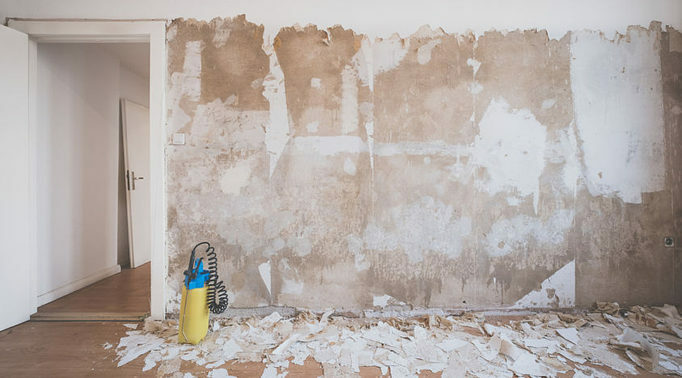 This means that it pulls water particles to its surface which could be carrying mold, bacteria and allergens. With the heat emitted from the bulb, the water particles evaporates and removes these pollutants from the air. They are locked inside the salt and the air is purified. With the purified air, this can drastically reduce allergy symptoms because of the removed allergens in the air. It acts the same way as air purifiers do except for the fact that it’s natural and barely consumes any energy which makes it better than the best air purifier. Asthmatic sufferers will also notice their breathing improves after a short while of using a Himalayan salt lamp. 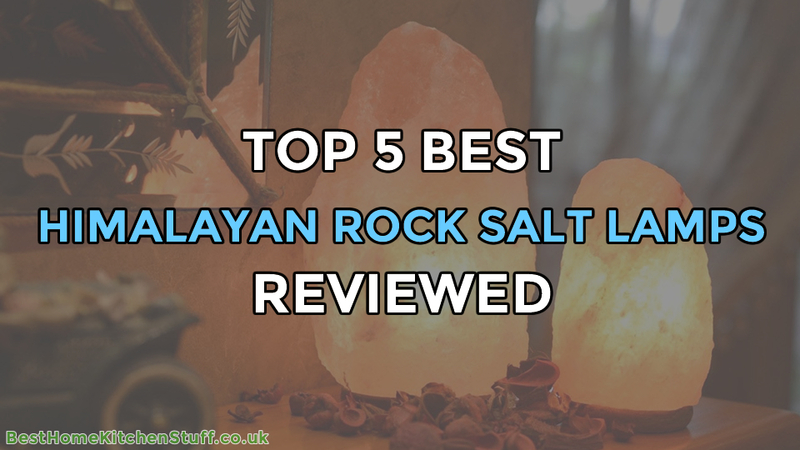 It helps to open up the airways in your lungs and when combined with Himalayan salt inhalers, the results are simply fantastic as you can breathe so much easier. As the flow of oxygen is increased in our brains, this helps to improve our moods because it encourages the release of serotonins which are happy hormones. The soft pinkish orange glow from the lamp also helps to create a soft and soothing feel to your home. It’s been known to increase focus and concentration levels too so it might be ideal to put this to use for work or study. Living in a world of hi-tech electronic gadgets and appliances, we are drowning in electromagnetic (EM) radiation. It’s uncertain what the long term effects are and perhaps it would eventually just become integrated into our body’s electromagnetic field. However, what’s for certain is that studies have shown that EM exposure can damage and kill tissues and cells, increase stress levels, cause fatigue and chronic headaches and even cause cancer in extreme cases. Using a Himalayan salt lamp may not counterbalance EM but it can reduce the radiation waves in the air. For this to be effective, it’s a good idea to put one near your electronic device of choice as the reach of a salt lamp isn’t that wide. Great natural product, Himalayan salt lamp looking soo good. its natural glow looks so amazing.